This recipe is a bit of a guilty pleasure (you’ll see it contains butter and sour cream…oops), but it is absolutely delicious. 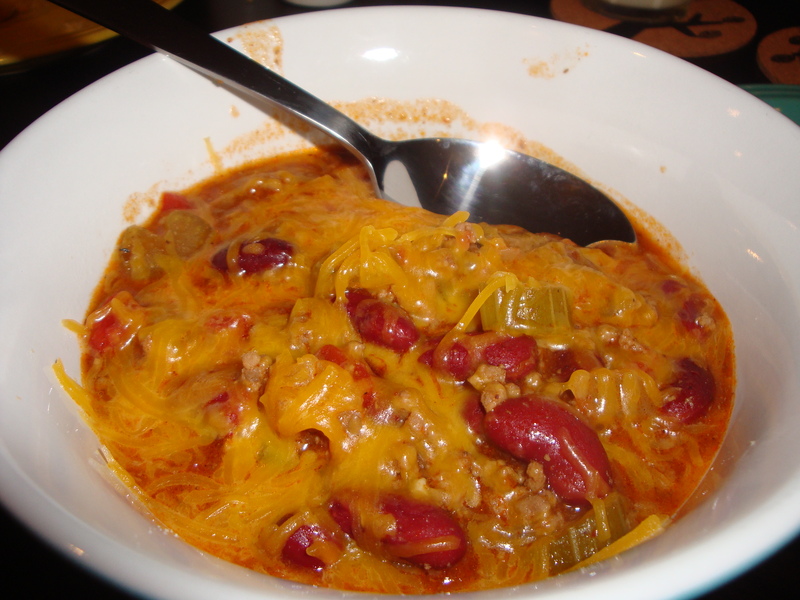 So moist and creamy, you can eat it with a spoon and it pairs amazingly well with my Hearty 30-Minute Chili. Plus, it’s so simple to make. What more could you ask for?! Heat oven to 350 degrees. Combine all ingredients in a large bowl and pour into a casserole or baking dish that has been sprayed with nonstick cooking spray. Bake for 50-55 minutes, until lightly browned. Serve with a huge, delicious bowl of chili. Last weekend was the first string of rainy days we’ve had this fall. 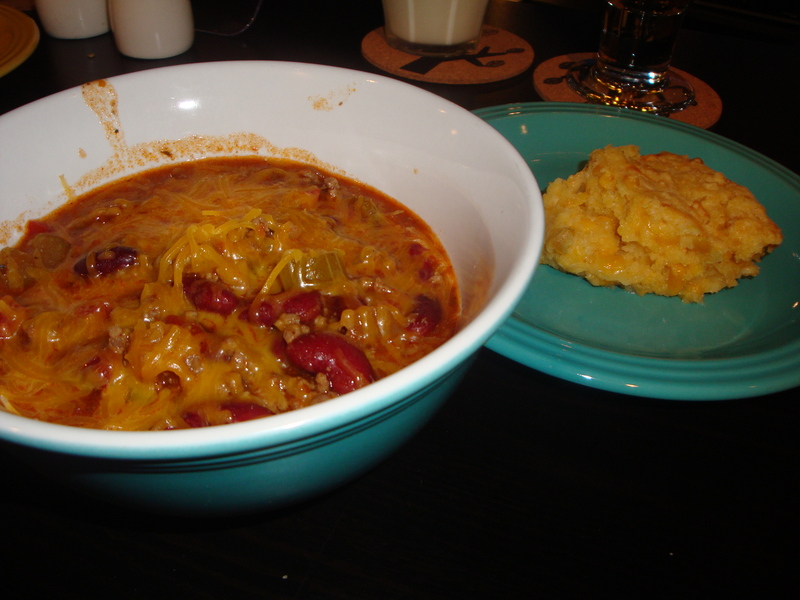 The combination of that and football gave me no other choice… I had to make chili! This recipe is entirely my own, and it’s a real crowd pleaser. Not only that, but it only takes 30 minutes to make! I paired it with a delicious and moist Cheesy Cornbread Casserole for a comfort food meal that was perfect for a lazy night spent watching the games. YUM! In a 12 inch skillet, brown ground beef, onion and celery. If necessary, drain and return to skillet. Add remaining ingredients and mix well. 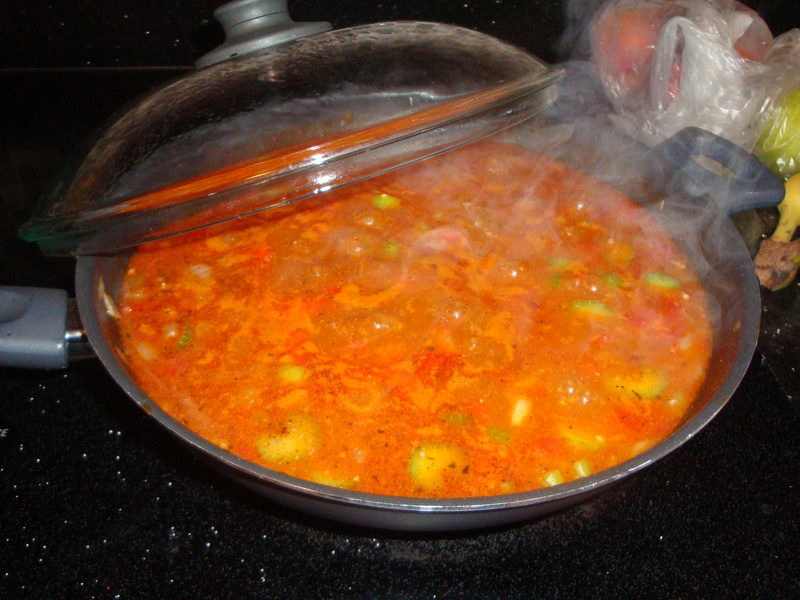 Cover and simmer for 20 minutes. 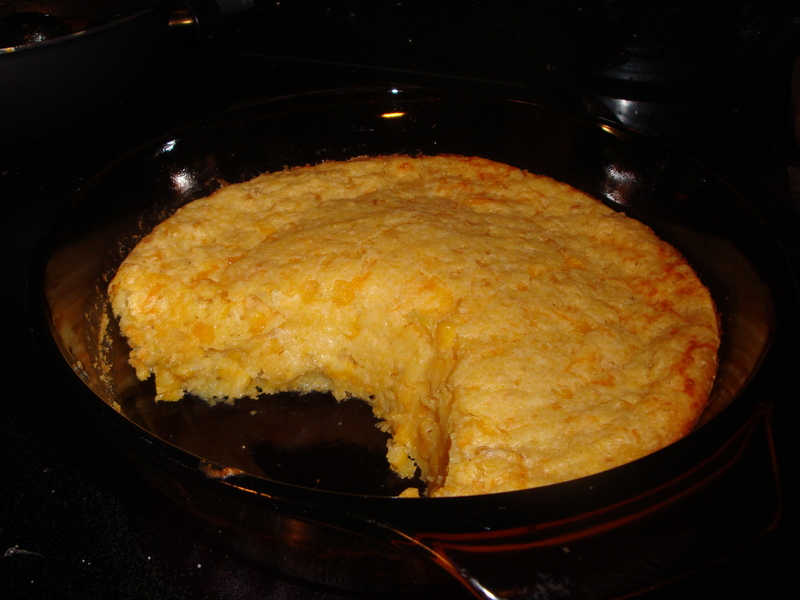 Serve in bowls with grated cheddar cheese, sour cream, crackers, corn chips or Cheesy Cornbread Casserole. Yields 4 servings.